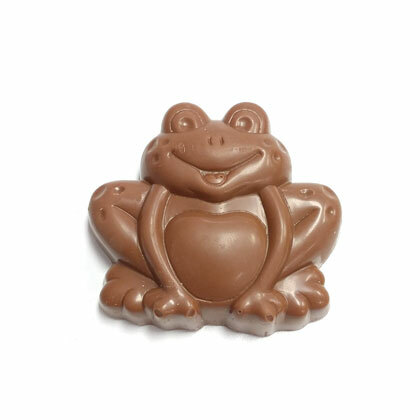 Delicious milk chocolate peanut butter frog. 3 oz. Approx. 3 inches by 3 inches.